Evening lights on Stanford Memorial Church and the arches of the main quad at Stanford University. 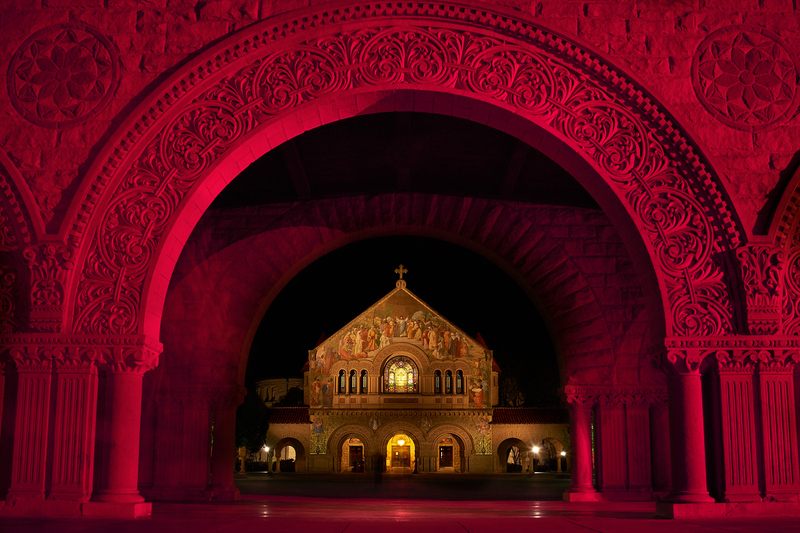 Stanford Memorial Church and the arches of the main quad at night. Dedicated in 1903, the Stanford Memorial Church was the earliest non-denominational church on the western coast of the United States. It has withstood two major earthquakes, in 1906 and 1989, and was extensively renovated after each.